I am back with another giveaway, and this one is very close to my heart as my blog “Weird and Normal Diaries”, turns 1 today i.e. 9th December, 2015. Yaay! Thanks to all you readers, friends and family for making this year that went by a wonderful one. I have grown by leaps and bounds over this year. Fuschia has been one of the first few beauty brands I had collaborated with, and it was their immense trust and faith in me that I have reached where I am today. They are the natural handmade brand that I love and whose products I have reviewed in the past. So they decided to be a part of my 1 year blogging birthday and are sponsoring 3 hampers worth INR 750+. Isn’t this amazing! So we will have 3 winners who will enjoy the love of Fuschia just like me. Enter the Rafflecopter below to make your entries count. Giveaway is open for Indian residents only. Giveaway will be open for entries till the end of this month. The results will be declared by the first week of January 2016. 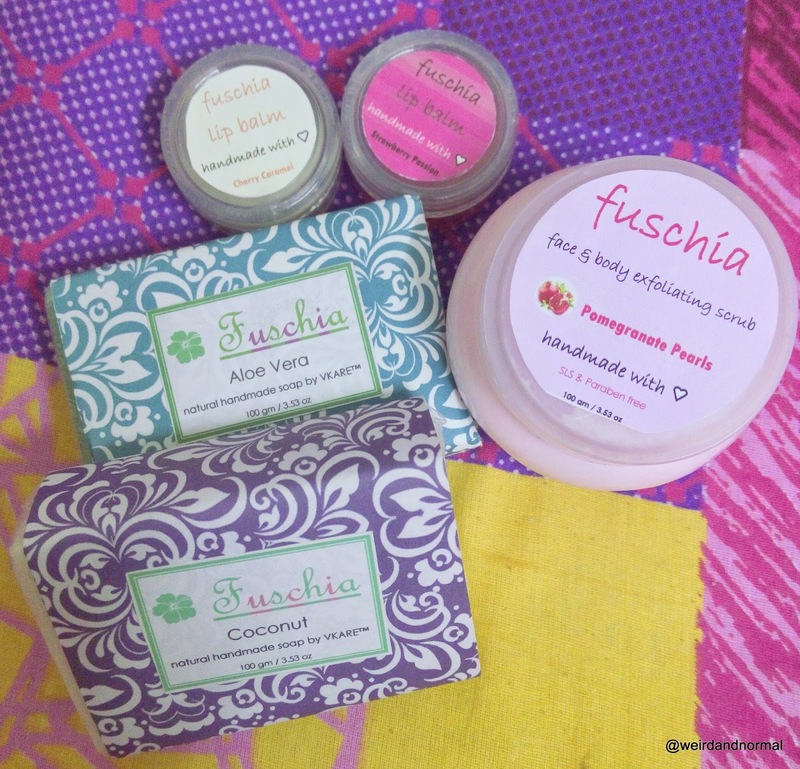 The Fuschia goodies shall be directly shipped by Fuschia to the winners after the results are declared. Hope you have fun participating in my #FirstBirthdayGiveaway of #WeirdAndNormalDiaries with #Fuschia. Don’t forget to share this giveaway with one and all as the more the merrier. Congratulations to the winners, please email me your contact details at clementia1991@gmail.com within 3 days to avoid disqualification. My Sugar Free Chocolate Biscuit Balls Recipe.